Today I am going to share a very easy peasy way to temporarily straighten your hair at home. 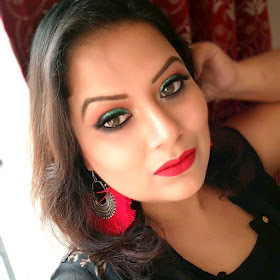 I always love straight hair so I go for this technique whenever I want to straighten my hair at home within few minutes. It is always necessary that you have a good "HEAT PROTECTANT SPRAY" and a good "HAIR STRAIGHTENING MACHINE". So, to know more kindly watch the video. COLORLISS HAIR STRAIGHTENER (Price:- 2990/-). ORGANIX BRAZILIAN KERATIN THERAPY FLAT IRON SPRAY.